Silex Technology has partnered with “Best in Class” technology providers to enable us to offer the most comprehensive and complete solutions in the industry. Silex Technology has partnerships with many technology companies including Embedded Software Suppliers, Network Infrastructure Providers and Industry Associations to enable us to offer the most comprehensive and complete solutions in the industry. Qualcomm Atheros is a global leader in innovative technologies for wireless and wired communications. Silex Technology is a certified Qualcomm Atheros Authorized Design Center (ADC), providing wireless technology implementation support for various popular Atheros Wi-Fi chipsets. Learn more about our partnership with Qualcomm. NXP is the global leader in embedded processing solutions, advancing the automotive, consumer, industrial and networking markets. Silex Technology is a NXP Proven Partner and the only manufacturer of NXP recommended Wi-Fi solutions. Learn more about adding connectivity to your i.MX 8-based products. Renesas Electronics, the world's number one microcontroller supplier, provides smart solutions for embedding intelligence, connectivity, safety & security. Silex Technology is a Renesas Partner and manufacturer of wireless connectivity technology. Green Hills Software, Inc., headquartered in Santa Barbara, CA, with European headquarters in the United Kingdom, is the technology leader in device software optimization and real-time operating systems (RTOS) for 32- and 64-bit embedded systems. Silex Technology provides a reference driver/supplicant for Silex SDIO radio modules (based on the Qualcomm Atheros AR6003) to customers deploying Wi-Fi enabled devices running Green Hills's INTEGRITY® RTOS. Over the past 30 years, QNX software has become a big part of everyday life. Its ultra-reliable nature means QNX software is the preferred choice for life-critical systems such as air traffic control systems, surgical equipment, and nuclear power plants. And its cool multimedia features have QNX software turning up in everything from in-dash radios and infotainment systems to the latest casino gaming terminals. Silex Technology and QNX have collaborated to integrate Silex Wi-Fi hardware and software into the QNX Accelerator Kit to facilitate technology evaluation and reduce engineering development to bring new products to market. Mentor Embedded, part of Mentor Graphics, offers comprehensive embedded development solutions to meet your product goals. A strong portfolio that includes the most deployed RTOS in the world, Nucleus with advanced support for Power Management, Process Models and Hypervisor technologies to support requirements for a wide range of embedded devices. The Nucleus reference platform includes a driver/supplicant to minimize the engineering time required to evaluate Silex Wi-Fi solutions including radio modules and SiP's to enable customers to address their specific product requirements. Citrix Systems, Inc. provides server, application and desktop virtualization, networking, software-as-a-service (SaaS), and cloud computing technologies, including Xen open-source products. Cisco Systems is the worldwide leader in networking that transforms how people connect, communicate and collaborate. Silex participates in the Cisco Compatible Extension (CCX) program to offer reliable Cisco WLAN infrastructure interoperability for our wireless module products. VMware empowers organizations to innovate and thrive by streamlining IT operations. By virtualizing infrastructure—from the data center to the cloud to mobile devices—VMware enables IT to deliver services from any device, anytime, anywhere. 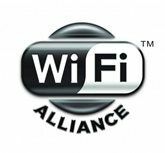 The Wi-Fi Alliance is a global, non-profit industry association devoted to promoting the growth of wireless Local Area Networks (WLANs) providing the testing and certification programs to help ensure the interoperability of WLAN products based on the IEEE 802.11 specification. As a member company, Silex actively participates in Wi-Fi Alliance activities related to healthcare as well as the other interoperability programs. Canon U.S.A., Inc., headquartered in Melville, New York, is a leading provider of consumer, business-to-business, and industrial digital imaging solutions. Silex has a rich history as a partner with Canon providing wireless and wired networking connectivity solutions for Canon document imaging devices. HP creates new possibilities for technology to have a meaningful impact on people, businesses, governments and society. With the broadest technology portfolio spanning printing, personal systems, software, services and IT infrastructure, HP delivers solutions for customers’ most complex challenges in every region of the world. Silex provides wired and wireless document imaging connectivity solutions for HP Scanners and Multifunction Printers.